Phantom is a film that knows where it is going, but has no clue how to get there. Fact, fiction and fantasy are mixed in slapdash style in Phantom. 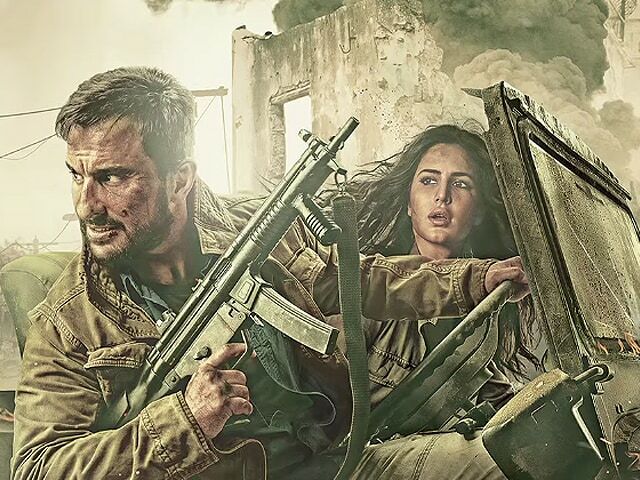 Some parts of the explosive drama that co-writer and director Kabir Khan creates are gripping, but the rest of the action is either poorly paced or painfully perfunctory. Imagine a sequence in which two Indian secret agents are in the Syrian army's line of fire in rebel-controlled Qudssaya, with a Pakistani operative tracking them. Actually that is precisely what Phantom is like as the whole - its flashy firepower seems like a lot of wasted ammunition. Although the film asserts that its characters are all imaginary, the principal antagonists are all modelled on the most wanted terror masterminds that are a thorn in India's flesh. This wishful construct, derived from S Hussain Zaidi's book Mumbai Avengers, is pretty flat and predictable, especially in the first half as the angry male protagonist, sacked from the army on charges of desertion, grabs the opportunity to redeem himself. It is only when the Indian agent infiltrates Pakistan with the help of a former RAW operative, Nawaz Mistry (Katrina Kaif), that Phantom springs to some degree of life. Obviously, the men that Daniyal targets - they have names such as Sajid Mir, Sabahuddin Umvi and Haaris Saeed - aren't easy pickings, but he has gutsy accomplices in and around Mohalla Johar, Lahore. But that is only one little corner of the world. Daniyal, Nawaz in tow, traverses virtually the entire globe - Chicago, London, Amman, Beirut and Lahore - to pull off his mission impossible. The sacked army man scours some of the most dangerous places on earth to smoke out with the aim of eliminating the terror masterminds. Kabir Khan is on a roll after Bajrangi Bhaijaan, a film that reveled in celebrating the idea of peace in the region. Phantom goes to other end of the spectrum and harps on an eye-for-an-eye philosophy. The question the film poses is: if the US can do it, why can't India? But to Khan's credit, his narrative eschews jingoism and stops short of painting the whole of Pakistan with the same brush. The better actors in the cast - Sabyasachi Chakrabarty, Rajesh Tailang and Mohammad Zeeshan Ayyub - are no more than mere passengers on this jerky ride.